The second day of a rather chilly December is coming to a close in a few minutes. 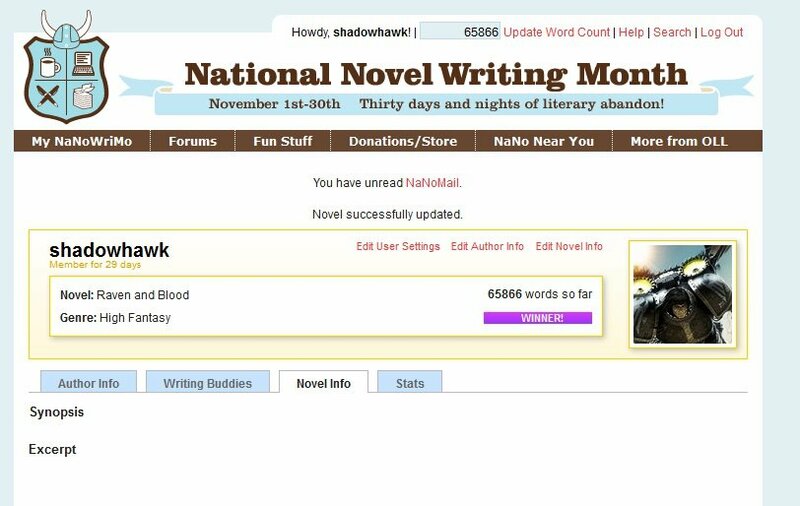 That means that NaNoWriMo finished two days ago. As I mentioned in my last blogpost, I had already achieved the target of 50k words in a record time and my plan to end the month was to finish the zero draft in the 60-62k range and finish the remaining 8k or in December. Well, here’s my progress for the entire month. National Novel Writing Month, NaNoWriMo for short. Goal: To complete a 50,000 word novel in the month of November from start to finish. Annual event that people participate in from the world over.